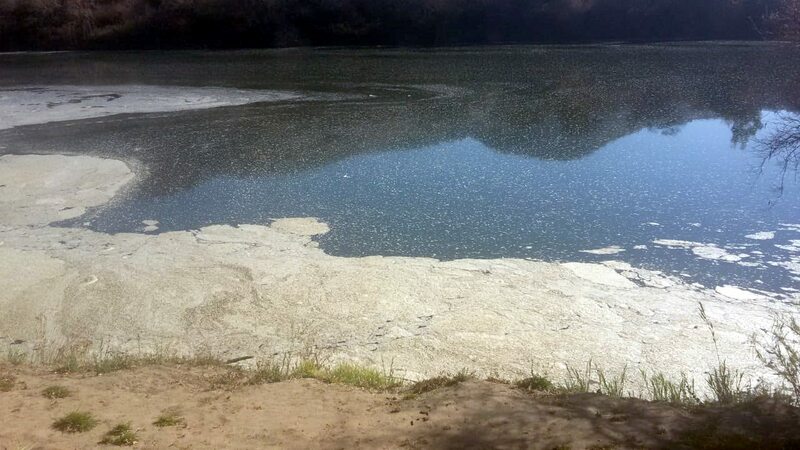 In Vereeniging, 120 million litres of raw sewage is being discharge into the Vaal River system every day. In 2002 South Africa officially became a water constrained economy, when the National Water Resource Strategy reported that we had allocated 98% of our total water resource. Subsequent high confidence studies have shown that we over-estimated the water available at the time, so in short, we have allocated all the water that we have. This means that we are simply unable to grow our economy to employ the vast numbers of unemployed. The logical outcome is therefore a revolution that will not only sweep the current regime from power, but also result in widespread misery as looting, fire and hatred consume all before it. We already see the anarchy unfolding as the flames of hatred are stoked by fascist elements. Our fundamental problem, at least from a water resource management perspective, is that we failed in 2002 to recognize that our economy is water constrained. Had we done so then, we would have shifted focus onto a recycling and recovery basis in which we create New Water from waste and the sea. We have failed to do that so it’s no use crying over spilled milk. However, the water we have in our national rivers and dams – the resource on which our entire national economy is based – is now polluted by sewage, acid mine drainage, uranium, partially metabolized Estrogen and a cocktail of drugs including antibiotics, antiretrovirals, antidepressants and an exotic concoction of recreational drugs like cocaine and Tik. In Welkom the sewage runs raw into rivers and the ground is soggy underfoot. In Johannesburg raw sewage flows from manholes through the Zoo. In Vereeniging entire sewage works discharge 120 million litres of raw sewage a day into the Vaal River system. 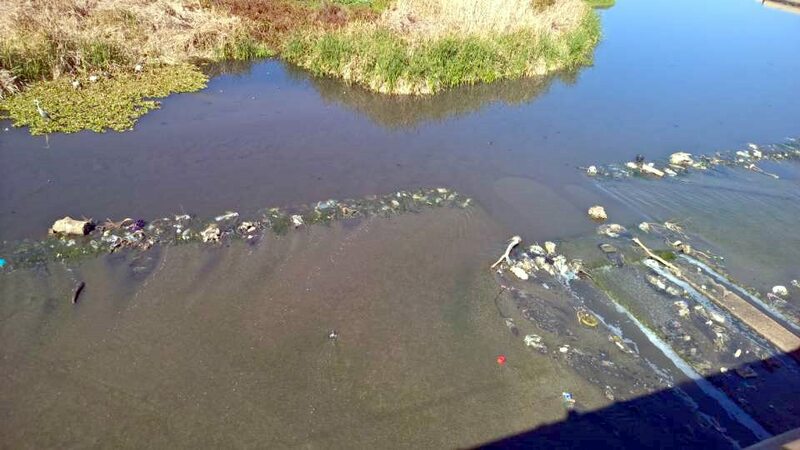 The Johannesburg North waste water works has been discharging millions of litres a day into the Jukskei River without any fear of regulatory intervention. 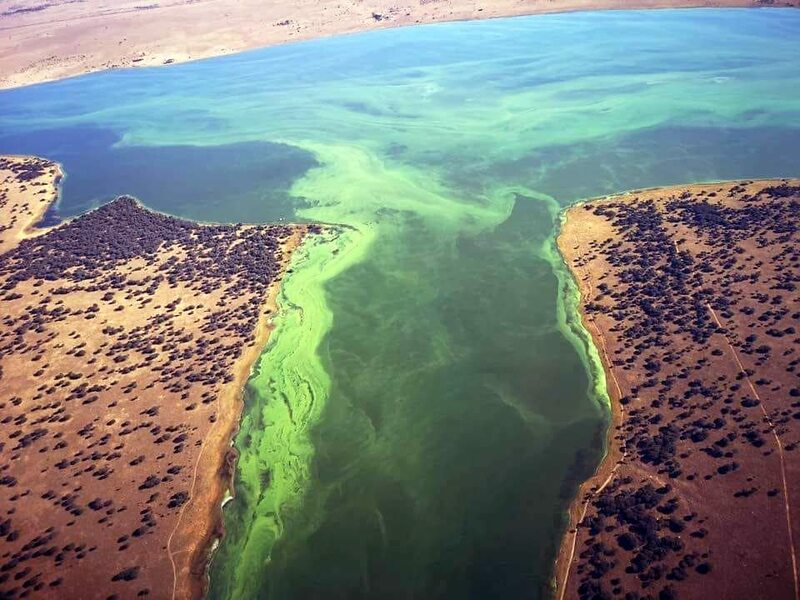 In Pretoria the Rooiwal waste water works have been discharging raw sludge into a wetland in such vast quantities that the ground has become jelly and boreholes are contaminated. Produce farmers between Krugersdorp and Magaliesberg now have to treat borehole water for sewage contamination of the lettuces supplied to the produce market. In many townships residents have to pick their way across a landscape of islands amongst raw untreated sewage. 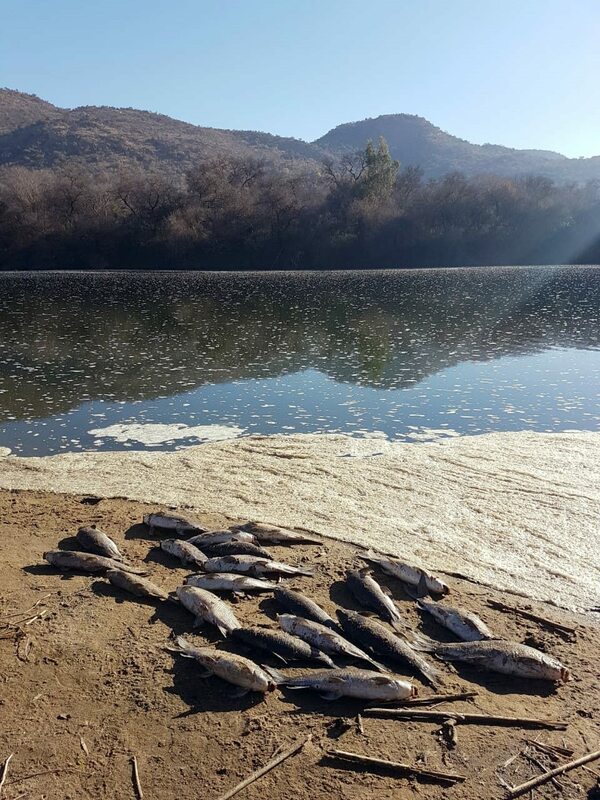 Hartebeestpoort Dam is the most sewage contaminated dam in Africa, if not the world, and best efforts to rectify it are undermined by a failure of the state. This is systemic failure. It is not about race, politics or religion – its about a crisis of monumental proportions that is likely to see the outbreak of epidemics and the emergence of drug resistant pathogens that are harmful to us all. I am not being a doomsday prophet when I say that we are sitting on a ticking timebomb. 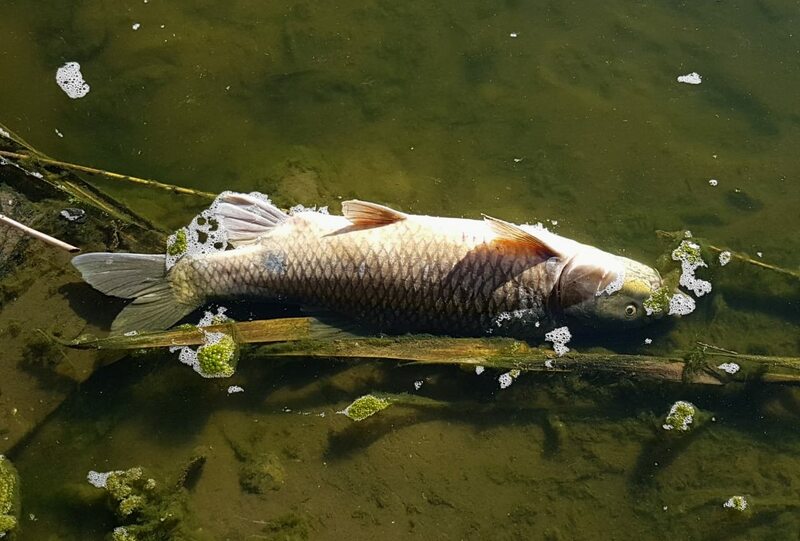 The Department of Water and Sanitation puts out lies about fish kills at the Barrage, selectively citing old scientific reports that fish death is “normal” because of “naturally” changing conditions. Our rivers are now polluted with cyanobacteria, toxic single-celled organisms that are amongst the most primitive of all life forms. 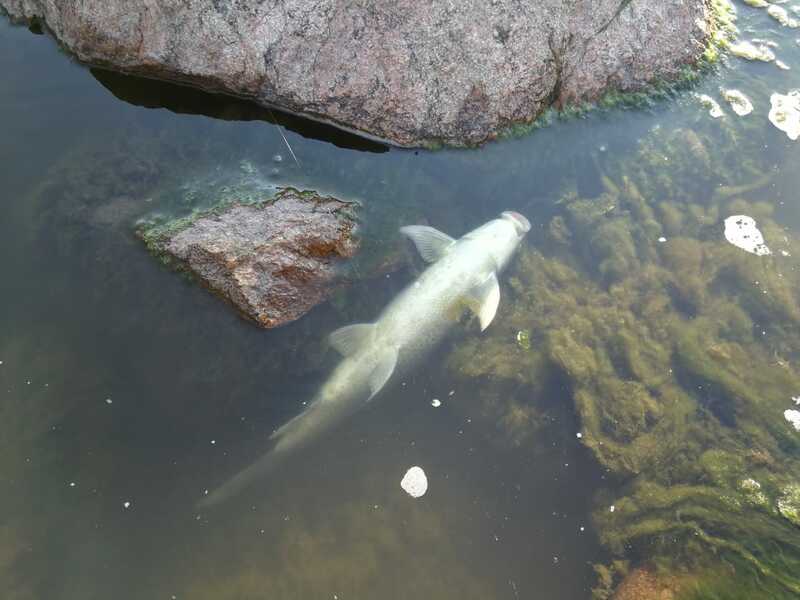 Neither plant nor animal, they multiply rapidly in the presence of sewage and they release a potent molecule into the water when they are distressed. That single molecule is so small that it cannot be removed by any of the current filtration or water processing technologies used by bulk water suppliers like Rand Water, Umgeni Water and others. The name of that molecule is Microcystin LR and it contains a toxin called ß Methylamino – L – Alanine (BMAA). High confidence scientific studies conducted outside of South Africa show us what BMAA can do when it enters the mammalian food chain and crosses the placenta from mother to unborn child. At the heart of this unfolding disaster are two key elements that I believe we now need to focus on as a society of outraged citizens. 1) A culture of impunity underpinning a system so flawed, that unless we challenge it, we are assured of the collapse of democracy in our troubled land. That culture of impunity manifests as protection by the Ruling Party of any Cadre engaged in corrupt practices or maladministration. One example of many is the plunder of our financial resources by the Zuma / Gupta criminal syndicate, that was aided and protected by Parliament, thereby rendering that organ of oversight dysfunctional. Nomvula Mokonyane plundered the resources of DWS and is simply redeployed to a different ministry without any consequence, while her replacement Gugile Nkwinti makes a public statement that he will not be prosecuting those known to have been involved in maladministration and corruption. The SASSA debacle tells us an identical story as Bathabile Dlamini acts with disregard for the law of the land. The plight of all SOE’s tells the same sad story. This culture of impunity has to end if we are to safeguard the health and wellbeing of our society. 2) At the very heart of this crisis is the interpretation of Chapter 3 of our Constitution – Cooperative Governance. This clause stipulates that different spheres and tiers of government may not encroach on each other. More importantly it states that one organ of state may not resort to the court until all efforts have been made to resolve differences internally. This clause has been (incorrectly) interpreted to mean that the DWS may not intervene in the functions of any municipality, and cannot therefore sanction a dysfunctional sewage works by anything other than a simple letter without any teeth. This means that DWS is toothless as a regulator, so our crisis of Induced Scarcity is driven at the most fundamental level by a constitutional crisis. This cannot continue. 1) We must find a case that can be prosecuted in the criminal court, and then resource a highly competent legal team to do what needs to be done to place a high-ranking Cadre in prison. We must choose this case carefully because it is vital that we secure a conviction. We must not rely on emotion to drive our decisions. We must not allow a pro-bono legal team to do the work, for if it comes at no cost, it also has no value. We must appoint the best, a real Rottweiler, mandate them and then pay them to seek the remedy that we, the citizens, demand. That Rottweiler works for us, not the Ruling Party or the State (one and the same thing). 2) We must approach the Constitutional Court to get clarity on the interpretation of Chapter 3 – Cooperative Governance, for the current interpretation renders all regulatory oversight by central government ineffective. How can any department mandated to exercise oversight, achieve its stated objective without intervening in the activities of other tiers and/or spheres of state? (a) I need from you a clear mandate that society feels so strongly about this issue, that they will rally to this one cause. I will measure that commitment by a minimum of 1,000 shares underpinned by a majority of comments in support of this action. Some will always oppose, and professional trolls will deliberately seek to undermine, so we will be vigilant of this. A minimum of 1,000 shares tells me that I have enough support to put myself into the firing line. If we get 10,000 shares that tells us something else. If we get 100,000 shares, it tells us that we have an unstoppable Movement for Positive Change. So, this is my first condition. Less than 1,000 shares and I am not prepared to take this matter any further. 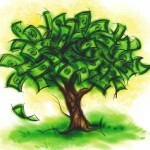 (b) I need each person that commits, to also become financially invested into the outcome. To say to me I must go ahead and enter the battlefield to fight on your behalf is one thing, because if/when I become a casualty then you will not feel the pain. But if each person is to also make a pledge to give some cash, not necessarily more than R10.00 per person, channelled through a crowd funding platform that is fully MM audited, credible and accountable, then we have a war chest that will enable us to pay for the very best legal team in the country. 100,000 people each giving R10 means that we have R1 million to pay the legal team. Once we have R1 m, I will approach a philanthropist and them to double that to R2 m. Broad based commitment will trigger wider commitment as we raise funds through a range of means that also spreads the message of hope even as we educate people about the personal risks to their health. It will mean that we, the people, will direct that team to serve our collective interest, rather than the interest of a single donor. In conclusion, my pledge to you is that I am prepared to take a leadership role in building a collaborative broad-based movement for positive change, that has as a defined objective clarification from the Constitutional Court of the Cooperative Governance Chapter; and a criminal prosecution of a Minister, a DG, a Premier or any other Cadre known to be blatantly in violation of the law of this land. 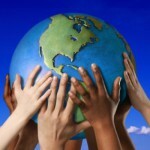 No single entity will be at the front, for there are many NGO’s, and each has their own skills to offer our cause. Once the coalition has been formed I will step back and let them carry on. In short, collectively we will draw a line in the sand and claim back our democracy in dignity and in law. The minimum threshold I need is 1,000 shares and a general pledge to support a legitimate and credible crowd funding platform purposely created for this one objective. My own work will be pro bono, so I do not want one red penny of anyone’s money. That money will be used to brief the best legal team that we can muster, and to mandate them to fight OUR cases in the courts of this country. If you support this, please share and be prepared to become part of an unstoppable Movement for Positive Change through the application of the noble laws of this troubled country. If you are an NGO that is willing to get involved, please make this pledge and take up the cause. If you are a corporation with a social responsibility agenda, please consider adopting this cause for your own marketing initiative. Today we end the era of impunity and we reinstate the principle of accountability central to any functional democracy. New water; we are missing one element even more important than recycling and desalination of sea water; viz, collecting and storing the manna that pours from the heavens onto our rooves. A small underground reservoir, along the lines of those we learned about whilst living in the most water-savvy country in the world, the Netherlands, has meant that we have used zero municipal water for three years. No E coli, no plastic particles, no chlorine. If the Netherlands believes in harvesting rainwater from our roofs, then SA needs to think why it so adverse to the idea. And why the Green Times refuses to give credence to the idea. I agree it’s a good idea!